Fascist Italy's most spectacular costume epic celebrates ancient Rome's conquests in Africa during the Second Punic War. 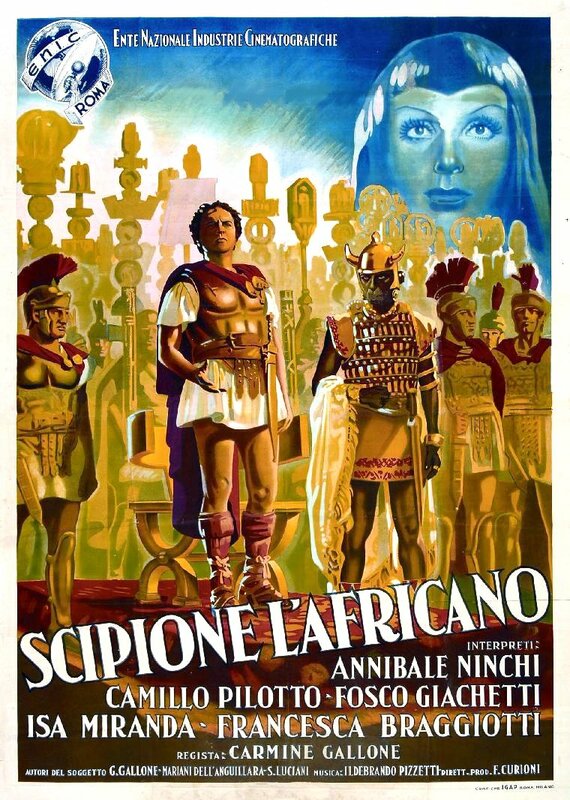 Produced during Italy's war against Abyssinia, and heavily backed by Mussolini's government, this was at the time the most expensive Italian film ever made. Drawing upon Rome's imperial past to justify Italy's expansionist present, Scipio Africanus piles cinematic spectacle -- a cast of thousands, savage battle scenes, and stunning recreations of Rome and Carthage - atop its ideological agenda. The result is a film of soaring historical pageantry (and occasionally arch melodrama), reverberating with the aesthetics and ideals of fascist Italy. When Mussolini visited the film set during production, he was greeted by thousands of extras dressed as Roman legionnaires who shouted Duce, Duce! Weeks later, life followed art as many of these extras were drafted to fight in Abyssinia. 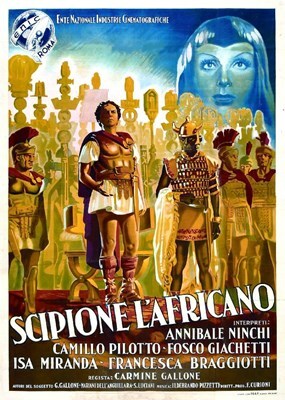 Shown at the Venice Film Festival upon its release in 1937, Scipio Africanus was awarded the Mussolini Cup. The film opens with scenes of desolation and defeat, as Hannibal, the great Carthaginian general, has just defeated Rome's forces at the Plains of Cannae. In response, Rome's politicians argue and dither, until the general Scipio Africanus steps forth with a bold plan: a lightning strike by sea against Carthage itself. A popular general and man of the people, Scipio quickly gains the support of soldiers and the veterans of his Spanish campaigns, and soon his daring strategy is in full operation. Hannibal meanwhile continues to move down Italy, as his brutish soldiers pillage Rome's villas and defile its women. The scene shifts to Carthage, depicted as a place of vaguely oriental decadence and exotic intrigue. A major subplot concerns the vampish Carthaginian princess Sofonisba, whose marriage to the King of Numidia has ensnared him in a ruinous anti-Roman alliance. Hannibal, meanwhile, learning of Scipio's gathering forces, is forced to depart Italy, and bring his armies back to defend Carthage. Finally, inevitably, Hannibal's and Scipio's forces meet on the vast plains of Zama. The spectacular battle scenes include an extraordinarily graphic sequence involving scores of elephants - Hannibal's most famous military innovation - slaughtered as they charge wildly into Scipio's massed infantry force. Large clashes of cavalry and infantry follow. In the end, a Roman standard rises over the stilled field, pronouncing Rome's great African victory. With the return of peace - and a greatly expanded Roman imperium in the Mediterranean - Scipio returns to his estate to plant next year's wheat crop.